Thank you to the large group who joined us Tuesday night to meet and welcome IMIrJ's new director, Alaide Vilchis Ibarra! Alaide will officially join us in Portland in January; in the meantime, she's taking advantage of her last few weeks in Washington DC to meet with IMIrJ's national partners and strengthen those relationships. Will you take a moment to e-mail sarah@imirj.org with a sentence or two about what you and your faith community did to help contribute to the defeat of Measure 105? We want to track and celebrate your work! The Exodus / Caravan: We also created space to hold in our hearts the thousands of Central Americans fleeing violence, persecution, and poverty in their home countries, traveling northward in search of safety, security, and a better future for themselves and their families. We invite you to take a moment to read this poem, listen to this song, and consider offering a prayer for those on this journey. Learn more about the migrant caravan here and here. Then find out how you can be in active solidarity with our immigrant kin of the exodus here and here. Locally, our partners at PIRC (Portland Immigrant Rights Coalition) are organizing a community forum about the caravan/exodus for Thursday, November 29th from 6:00-8:00pm (location TBD), featuring Honduran activists Isaac Delcid & Maribel, asylum-seeker Wendi Garcia, and Emma - a member of the International Migrant Alliance. IMIrJ is also tracking several opportunities with faith-based organizations that are organizing delegations to Mexico and the border to accompany and support the caravans. Watch for more info soon. 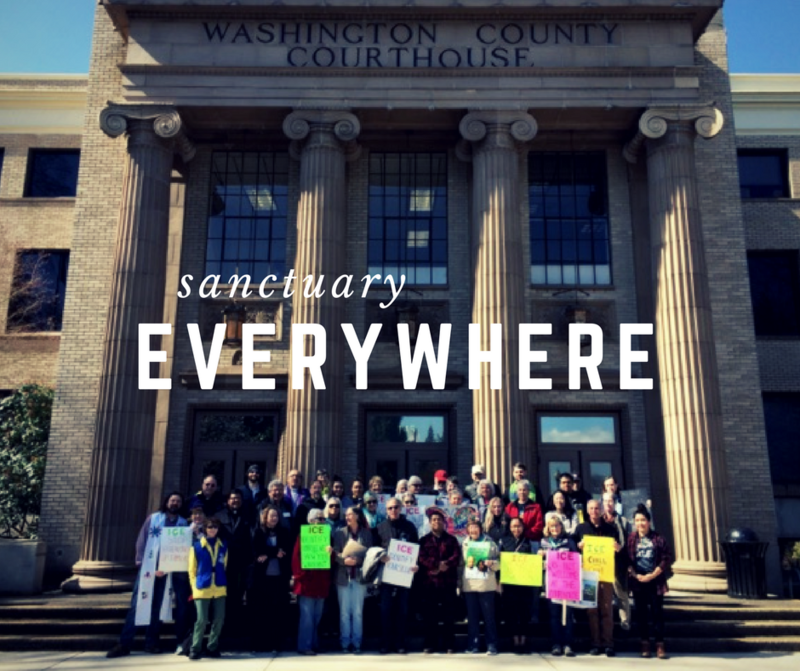 Defending Sanctuary: Scroll down for info about ongoing ICE activity at the Washington County courthouse and a related action there on Monday at 12 noon. Please share the word in your community and attend if you are able. Our leaders and members in Washington County could use the cross-county solidarity! 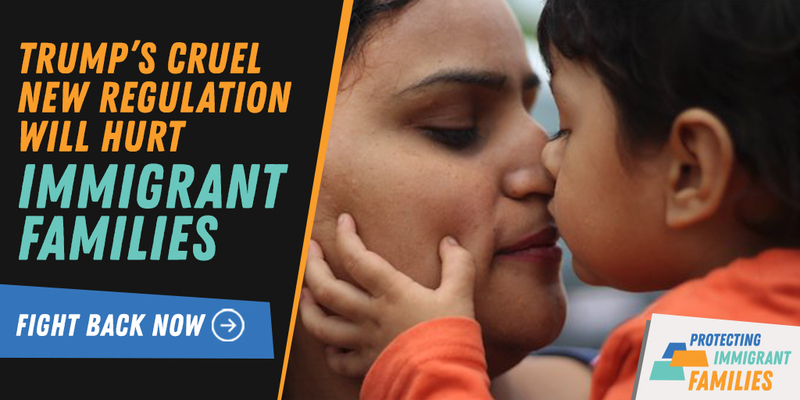 IMIrJ is seeing a sharp uptick in the number of requests we are receiving from immigrant community members for accompaniment to ICE check-ins, to immigration hearings, and to the courthouse. Our accompaniment team will offer full accompaniment trainings early next year. 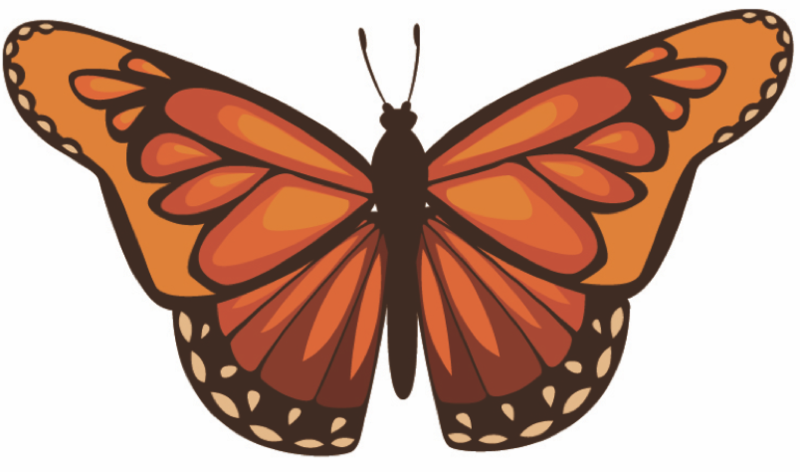 In the meantime, we are in need of documented, bilingual Spanish-English community members with daytime flexibility who can be fast-track trained as accompaniers.